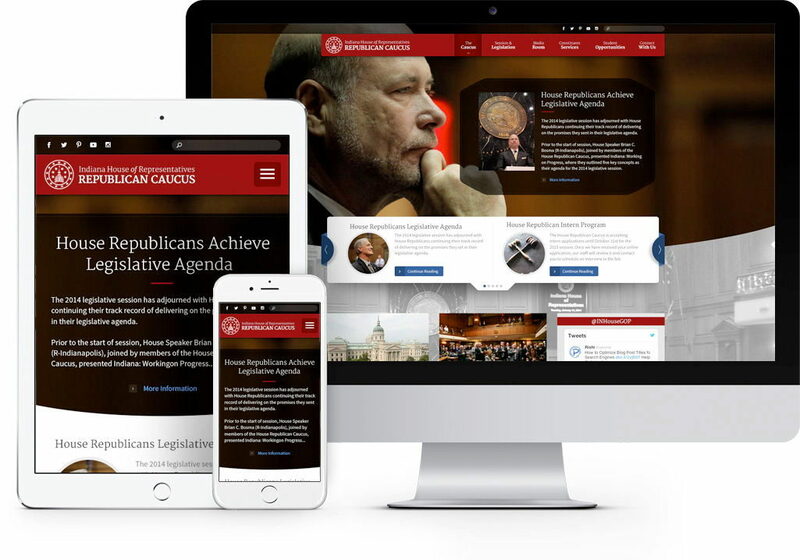 The website objectives for The Caucus was to breathe new life into their online presence, design and develop a website that better serves their constituents, and provide The Caucus with an easy to update website. 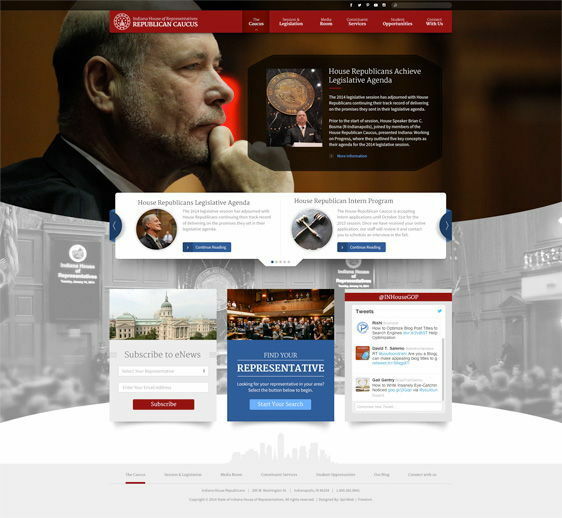 SpinWeb worked with The Caucus to establish homepage priorities and a strategic sitemap. We created specific CTAs for each section of the website to make it easier for constituents to interact and communicate with their representatives. 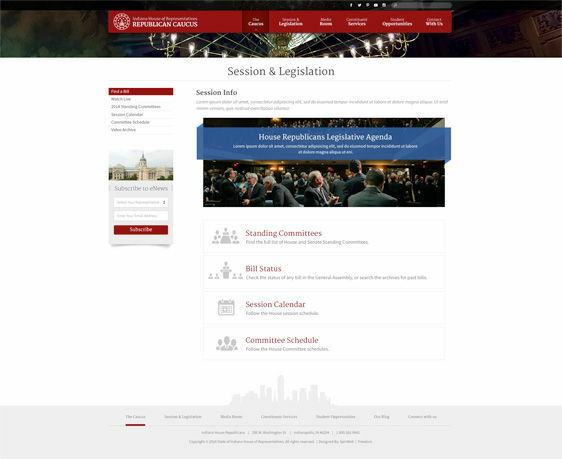 Session and legislation information is now easy to find and organized in a user-friendly design. The website is responsive, and content is prioritized for optimal display on a variety of devices. We created a member directory database that integrates information about each representative in a sophisticated and automated manner. For instance, images can be uploaded and tagged in the system to appear in multiple instances of the website where the member information lives. "Our House Republican team really appreciates all the effort you have put in to making our new site perfect. I know we've made a lot of requests and changes and you are always so professional and accommodating. The site is gorgeous and we can't stop talking about it!"